A person has life-threatening injuries after a shooting near Central Avenue and Dobbins in Phoenix, authorities said. Around 6:15 a.m. Monday, officers responded to a shooting call in the area, Phoenix PD said. 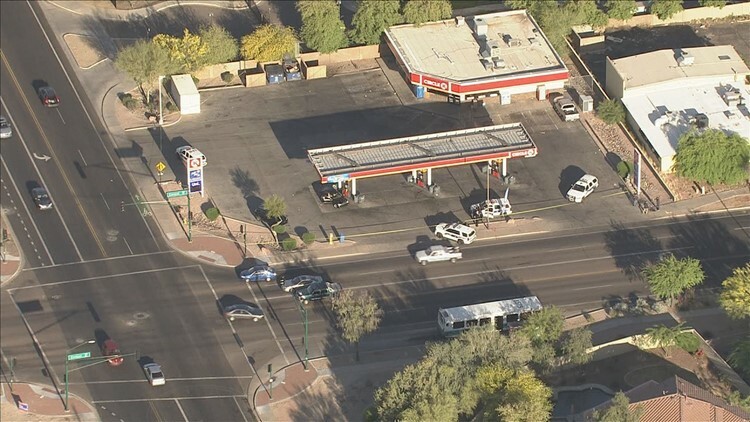 PHOENIX — A person is dead after a shooting near Central Avenue and Dobbins in Phoenix, authorities said. Around 6:15 a.m. Monday, officers responded to a shooting call at an apartment complex in the area. Officers found a 21-year-old woman seated in a vehicle with a gunshot wound, police said. She was transported to the hospital where she was pronounced dead, Phoenix police said. According to authorities, two people were detained for questioning; however, no arrests have been made. This investigation is ongoing. Anyone with information is asked to call Silent Witness at (480) W-I-T-N-E-S-S, or for Spanish (480) T-E-S-T-I-G-O. Callers may remain anonymous and could earn a reward of up to $1,000.